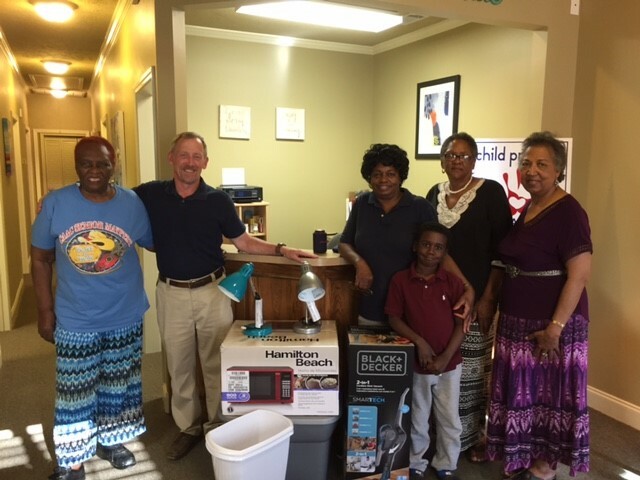 Some of the members from Bethlehem Lutheran Church, with help from Thrivent Financial, donated a vacuum cleaner, microwave, two desk lamps, two trash cans and a storage container to the new office of the Prattville Child Protect Center on April 4, 2017. 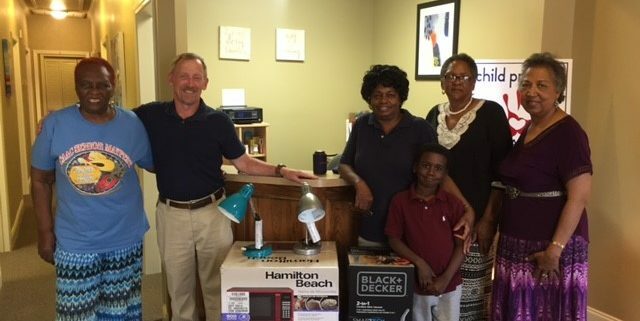 The center’s family advocate representative, Ms. Cammie Blackmon, gave a tour of the center and stated that the mission of the center is to counsel and advocate for children who may have encountered some form of abuse. The center offers a non-threatening environment where a multidisciplinary team works together to minimize any further trauma during the justice and restoration process. Pictured (left to right): Dorothy Henderson, Rev. 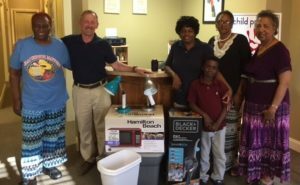 Jeff Hesterman, Irene White, Jayden Crawford, Carlvetta Wright, and Pearl Howard.